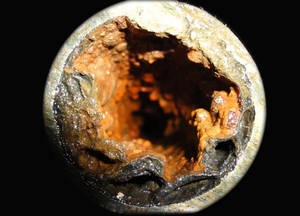 Under the right conditions, bacteria naturally found in water can form biofilms (protective slime layers) in metal pipes. When this bacteria is present in pipes, it is causing corrosion, and you may notice unusual red or black coloration of the water or foul, rotten-egg-type odors. Contact Smart Restoration Services at 847.577.2900 if you’ve had water damage in your home or commercial building. Read more information from The Journal of Cleaning, Restoration and Inspection here.